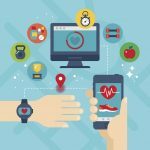 Home » What can Digital Health Services do for Insurance Companies? The American poet and underwriter Wallace Stevens once said that insurance appeals to our primary instinct to live in a world where nothing unpleasant can happen. We want to go on, like wax flowers, in good health indefinitely. Throughout history insurance companies have responded to this desire mainly by providing the means to restore any damages to health, life or property. But what if insurance could be a way of actively maintaining health? Some forward-looking insurance companies have been using digital health services to do just that. The insurer-customer relationship is delicate. The trouble is that the branding of insurance companies has become so uniform that customers often struggle to differentiate one company from another on any grounds other than price. When customers differentiate primarily on price they are less inclined to be loyal. This not only means that the relationship between customer and company is easily broken. It also means that it is narrow and limited. Insurance may never be like fashion or consumer electronics where loyal customers will queue tirelessly for the next release. This should not be taken as an excuse for giving up on a more meaningful connection. It is possible to surprise and delight insurance customers –it just takes more than a competitive price. It means developing a relationship by offering a set of benefits and values that go beyond what customers were expecting. That is where digital health services can come in. Take the example of LocalTapiola. LocalTapiola is the second largest insurance company in Finland. 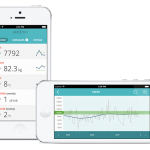 In June 2015, it launched a new product, using a platform designed by Wellmo, to integrate digital health features within a Smart Life Insurance contract. 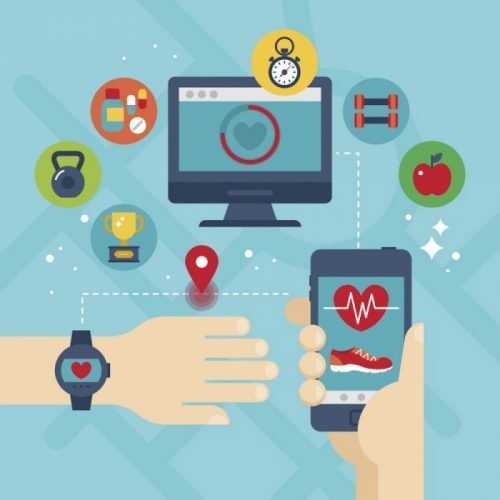 The platform features a set of services including an electronic health check, a telehealth facility, access to policy information, a benefits store, a self-coaching program and an activity wristband and wellbeing app. In their 2016 mid-year results LocalTapiola reported sales had increased by 10% and 7000 customers in Finland had taken out Smart Life Insurance. All the indications suggest that these new benefits are transforming the relationship between the company and its customers. The customer base moved toward younger, more health conscious customers who are remarkably engaged with the platform. In straight numbers, 90 per cent of users complete the health check, 80 per cent subscribe to the coaching programs and 83 per cent of users report health benefits. Significantly, rates of churn have reduced since LocalTapiola launched Smart Life Insurance. This could be big news for insurers who need to find new ways to enchant and hold on to customers in an era where having direct contact with a local agent is increasingly rare. What the platform provides is a different way for insurers to look after their customers by helping them to look after themselves. In the future incentives could be offered, for instance, rewards for achieving targets like completing a health check or a certain amount of exercise. The proposition is an environment that makes it just a little bit easier, and even a little more fun, to do what is good for you. It is for this reason that the incorporation of digital health services in insurance can be likened to having a ‘big mother’ to watch over you.